I finally managed to get something into my Etsy shop. I was inspired by the Etsy + CRAFT: competition so I made an entry. I also recently finished a sample of one of my mini knit totes. This is more purse-y and less tote-y. 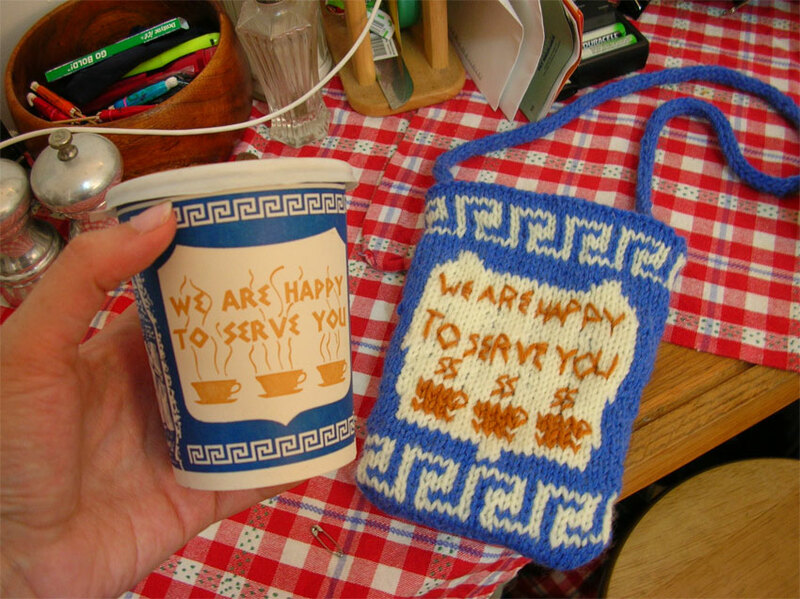 But it is from the same design idea of the Greek Deli Cup. Here are some pictures of the items I put up for sale at halfbirthday.etsy.com. 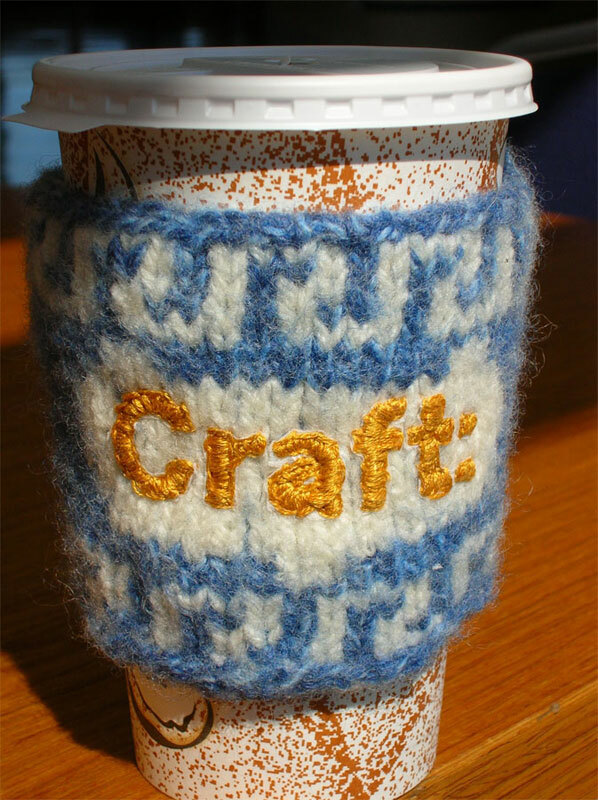 I hope to add some non CRAFT cozies in the next month.